New Delhi : Road safety is one of the prime concerns Indians must address at the earliest to make travel easier and accident-free. For most of us, traffic rules come with a limit of blinking red, yellow and green lights. But here is something we must know about the yellow and white lines we often see painted on the roads. 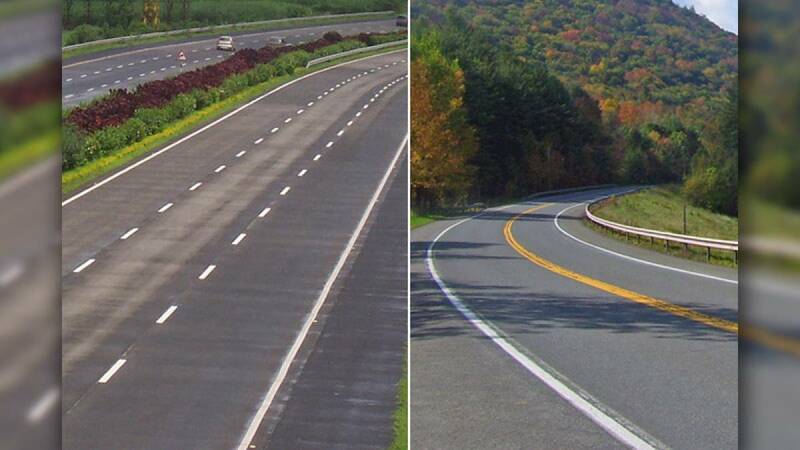 1: What is the meaning of white lines painted with little gaps? White lines painted at a marginal distance indicated that changing lanes in the area is permissible. Vehicles can change their lanes and directions just by blinking indicator to the other vehicles. 2: What is the meaning of solid white lines? Solid white lines mean driver must stick with his lane and not change vehicles direction under any circumstances. 3: What is the meaning of single solid yellow line? The single yellow line means overtaking is allowed in the area but with caution. Driver must not cross the yellow line while overtaking the other vehicle on the road. 4: What is the meaning of double solid yellow line on the road? Passing is not allowed over double solid yellow line. 5: What is the meaning of solid yellow line with broken yellow line? It simply means that the vehicles on lane with solid yellow line are not allowed for overtaking while the ones on the broken yellow line can do it with caution. Well, these were some simple things every driver must know before hitting the road. Drive safe, say no to accidents.